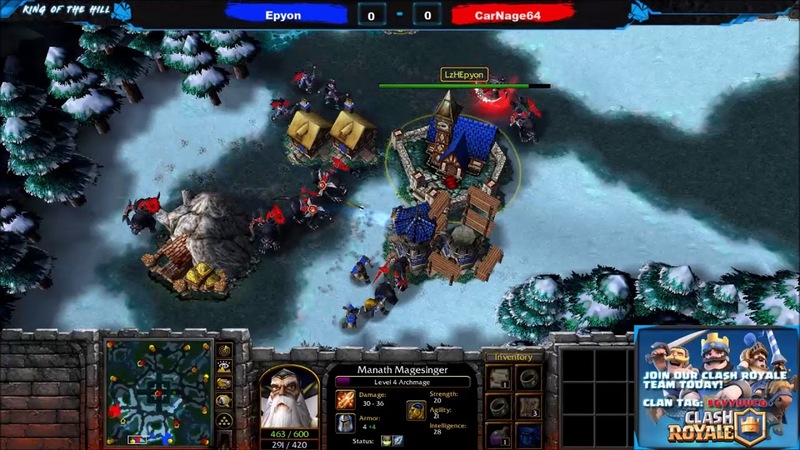 King of the Hill Results "CarNage64 vs Epyon"
Back for another episode of King of the Hill on WarCraft III: The Frozen Throne again! With CarNage64 coming off a fresh win against Kinoy last week on WC3. He looks to be the first one to defend the title against Epyon! This match will prove to be a very interesting one between the two. Watch now and see if CarNage64 can IlliCAN like he did last week! SacredMyths, Locq175 & RightAsReno are casting the match! The Guild Improves to 5/9M Battle of Dazar'alor! The guild on US-Sargeras Alliance have improved to 5/9 Mythic Battle of Dazar'alor with now downing Conclave of the Chosen! If you play on US-Sargeras and looking for a guild? We're currently recruiting strong range DPS for Mythic raid slots! King of the Hill Results "Kinoy vs CarNage64"
We kick off the second match of King of the Hill with Kinoy defending his title now against CarNage64 on WarCraft III: The Frozen Throne which both players don't really have a background in this RTS but have one in StarCraft. Will Kinoy be the first King to have a defense or will it change hands to the challenger? tune into this best of 7! This episode was commentated by LzHEpyon & SacredMyths!